Planets in Astrology play vital role to operate human lives. There are nine planets described in Astronomy whereas Vedic Astrology tells about seven major planets. Astrology Planets have its own significance to affect the human life. Our Solar System is gravitationally bound system which comprises of Sun and other objects (Planets, Asteroids etc.) revolve around the Sun. The Solar System contains planets, objects and also the Asteroid Belt which lies between the Planet Mars and the Planet Jupiter. All these planets and objects affect to "The Planet Earth" in a positive or negative way. What are the 9 planets in order? Everyone is curious to know about the order of planets and how is it formed into our solar system? These are the questions which everyone might have in his mind. However, our science, based on Astronomy, couldn’t answer these questions. 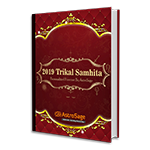 While Vedic Astrology is the science which already described about the planets and their motions in Vedas or ancient creations a long time ago. Our Rishis has already discussed about the planets and their impacts on Earth. In Astrology, only seven major planets are considered to influence life on Earth. The list of the seven Major planets are as follows with their distances in ascending order from Sun. Sun (The King Planet) and the other major planets, which revolve around the Sun, are Mercury, Venus, Earth, Mars, Jupiter and Saturn. Apart from this, one more object is added in Vedic Astrology as a Planet named as "Moon", though we all know it is a satellite of planet "Earth" but Astrologically, Moon also affects the life on Earth as it is very closer to our planet. It is the main object in the Universe which affects the "Mind" of a person. There are two nodes defined in Vedic Astrology named as Rahu and Ketu. Rahu is known as "North node of the planet Moon" and Ketu is known as "South node of the planet Moon". These are basically considered as Head and Tail of the "Demon". Though Venus is Considered as hottest planet in Astronomy, as it is very nearer to the Sun after Mercury whereas Astrologically, Sun is one of the hottest planet in the Solar System. Astrology Planets have their own significance based on their energies. Every planet has its own energy in Universe, which is commonly known as "Gravitational Force" in Astronomy and aspects or influences in Astrology. What are the planets in Astrology and how it affect the life on Earth? Sun: The planet "Sun" is known as the "King" of Celestial Cabinet. It is a hottest planet among all. It indicates the Government or Authoritative position in the society. It represents our "Soul" and "Father". It provides the energy to all the planets. It illuminates the whole world through its brightness. It rules over "Leo" sign and gets exalted in "Aries"
Mercury: This planets reflects the quality of "Prince". Mercury is a planet which indicates the logical ability or calculative ability of a person. It deals with Mathematics and it also provides the knowledge of "Astrology". It is very closer to the Sun. It is also a "Messenger of God" and deals with our communicative ability. It represents our siblings and day to day activities and expressions. It rules over "Gemini" and "Virgo" signs in Astrology and gets exalted in "Virgo" sign. Venus: This is the planet which everyone seeks for and it acts as a "Princess" in the Celestial Cabinet. Venus indicates Love, Romance, beauty and any kind of relations in one’s life. It also represents the wife, girlfriend or any girl in Men’s Birth Chart. It is Karaka planet for marriage too. It represents the monetary value or finances of a person. It rules over "Taurus" and "Libra" and gets exalted in "Pisces" sign of the Zodiac. Mars: It is a Commander In Chief or Soldier of Celestial Cabinet. It shows our fighting ability and aggression. It provides us courage to tackle any situation. It is always in "Hurry" and ready to fight. It shows the "quick respond" or "activeness" of a person. It is a karaka planet of younger co-born, police, army, surgeon etc. It rules over "Aries" and "Scorpio" and gets exalted in "Capricorn". Jupiter: It is the "King’s Minister" in the Celestial Cabinet. It represents the Wisdom of a person. It also represents the "Gurus" or "Teachers" which are running into our life. It represents the "Husband" in woman’s chart. It is a religious and most benefic planet. It represents children and family of a person. It rules over "Sagittarius" and "Pisces" and gets exalted in "Cancer" Zodiac sign of Astrology. Saturn: It is " Servant" of the Celestial Cabinet. It represents the masses or public. It is the planet which is known for its judgment. It judges you according to your Karma performed during current birth and gives you marks accordingly. It’s a very slow planet and takes time to provide you results. It shows the "Patience" of a person. It is all about delaying the things. It gets exalted in "Libra" and debilitated in "Aries". It rules over Capricorn and Aquarius signs of the Zodiac Belt. Rahu: Though it is not a planet, it is basically a North node of a planet Moon. It is also known as "Chhaya Grah" in Vedic Astrology. It has only Head of the Demon. Rahu is always curious about the "Worldly Fame". It always runs after the materialistic things. It is commonly known as "Shanivrat Rahu", that means it behaves like a planet "Saturn". Since it’s bodiless planet so it always wants more and more and never be satisfied with one thing at every aspect of one’s life. It is assumed that it gets exalted in "Taurus/Gemini" and debilitated in "Scorpio/Sagittarius". There is no specific sign for Rahu as it behaves like the sign or planet in which it sits. Ketu: It is again not a Planet, It is commonly known as South Node of planet Moon. It’s a tail of Demon. It is also a "Chhaya Grah" like Rahu. It doesn’t have interest in worldly fame and desires. It is just opposite to Rahu. It’s a very spiritual planet which seeks only for enlightenment. It is all about separation from materialistic things. It’s a headless planet. Only Ketu is the planet considered for Moksha in this life. It reflects our past life karmas, Sanchit Karma etc. It is believed that Ketu behaves like Planet "Mars". It gets exalted in "Scorpio/Sagittarius" and debilitated in "Taurus/Gemini". Therefore, Planets in Astrology are very important to know the results of any activity. It shows how the life on earth is being operated through Divine. Objects, present in the universe, are affecting to other masses and hence our earth is also getting that influential energy from these masses. An Astrologer must study and analyse carefully all these planets placed in one’s horoscope in order to provide the right prediction.